We provide business management and consulting services for our clients and customers such as regulatory, product design, development, supply chain, warehousing, sales, and distribution channel management including sales acceleration using our Modified Generic Strategy™ that embraces a network based computing approach to commercialization. The Modified Generic Strategy Model allows the company to leverage these relationships through a variety of offerings via its OEM, Private Label, Own Brand, and Development channels. This expanded channel or “Network” approach allows Qualimed to leverage its core expertise and skills in design, development, and manufacturing while taking advantage of market consolidation conditions that have left many channel participants with a reduced portfolio of interventional products to sell and seeking alternatives to these large cap companies that have consolidated them out of the channel. Because these channel partners are well trained, have strong historical relationships with the key user base, and are working with physicians that are skilled in the clinical use of the technology, there is a significant opportunity to accelerate the company’s growth through this multi-channel approach. Relationship selling plays a significant role in what the doctors choose in the care for their patients and Qualimed plans to leverage the elasticity in the sales channel with its growing technology platform of innovative technologies. 1. Own Brand: The company's Own Brand lines offer a full range of products through a growing number of exclusive and non-exclusive distributors in Europe, Asia, South America and Africa. Currently the company is selling products or registering its technology in over 40 countries globally. 2. 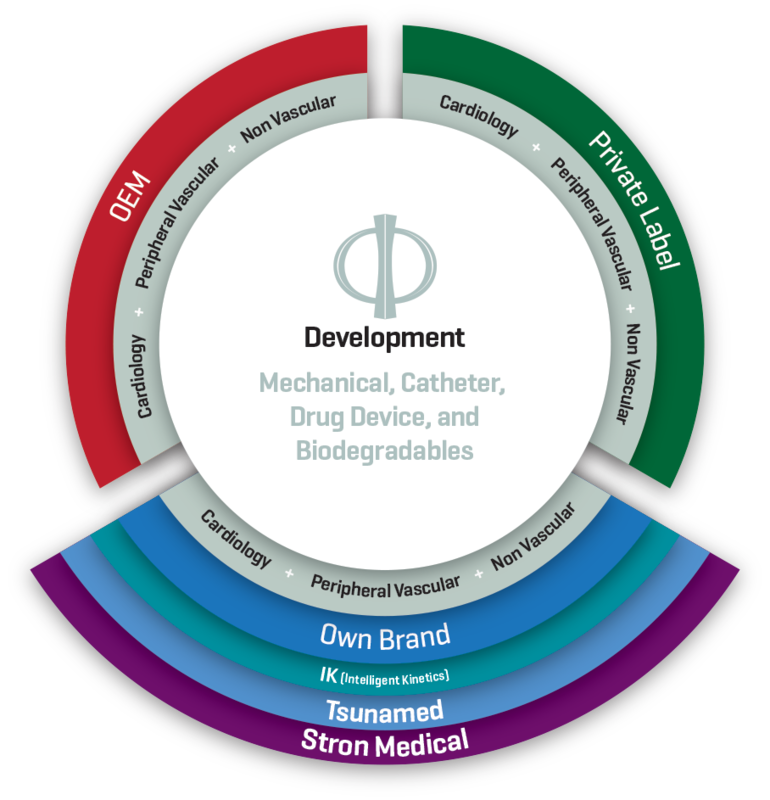 Private Label: The company provides a turnkey medical device offering to Private Label customers on a fee-for-service basis, which includes an upfront licensing fee for approved products in the coronary, peripheral vascular, and non-vascular areas. As part of the fee the company provides additional support services to accelerate the product transfers such as the establishment of a quality system for new entrants moving from pure distribution into having their own brand, CE transfers, inventory management, authorized representations, and other services as needed from time to time as requested by the customers. This private or ‘white’ label approach allows Qualimed to provide its products to multiple customers, further expanding its footprint in this highly fragmented market. 3. OEM: The company's OEM division produces products for its customers on an exclusive basis. These customers either bring existing products for production or desire new products to be designed, developed and manufactured at Qualimed. 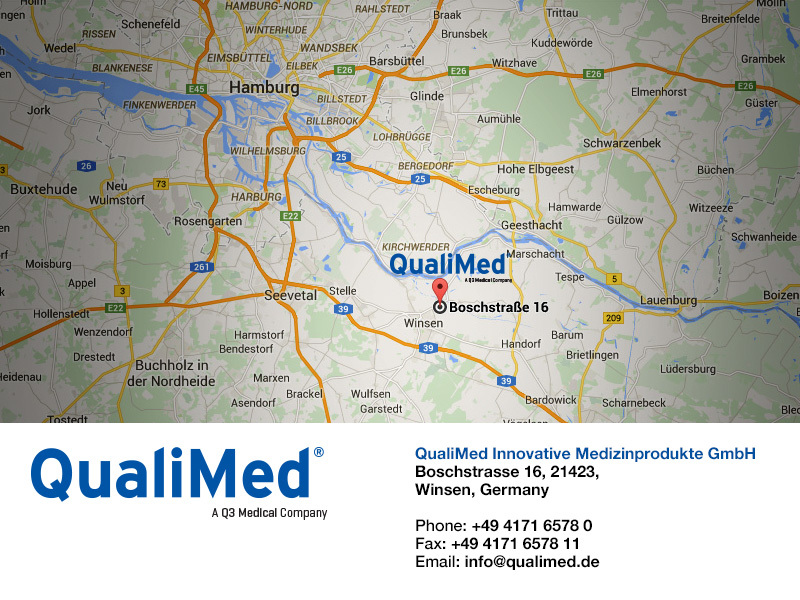 Qualimed only engages in paid or funded development projects where it will have control of the manufacturing rights in the future and can leverage the developments into some future application it will develop on its own. 4. Development: The company's Development is focused on novel development projects in the areas of Mechanical Implants, Catheters, Drug Device Combination, and Biodegradable technologies both internally sponsored by the company and its physician advisory network as well as externally funded projects from various corporate partners and government funded entities. Qualimed only engages in paid or funded development projects where it will have control of the manufacturing rights for completed developments and where developments will enhance the company’s internal capabilities.